Colorado, the Centennial State, was the 38th constituted state in the United States nation. Known for its diverse landscape, Colorado is very health conscious and considered among the top business friendly states. The CNBC rates the Colorado as third best “Business State”. Science and technology are driving the economy of the state with high pace and steering the progress wheel of the state. There are more than 47200 companies belonging to the health care and medical industry in Colorado. The whole nation is facing the crisis of lack of nursing resources and nurses. In fact, the demand of nurses grows significantly in the Colorado state than the rest of the nation. More than 50% of the total job openings in the state are from health care industry since past many years. 6% of the State’s GDP comes from the healthcare industry. 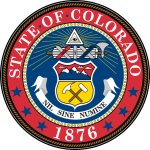 Colorado State Board of Nursing is the administrative body or council, which enforces the nurse practice act and various other nursing laws & policies in the state. Colorado State Board of Nursing is an integral and official part of the NCSBN, which is responsible for taking care of all nursing programs and medical services in the state. The state expects more than 15% growth in the nursing field by end of 2016. This is all happening due to worthy and invaluable efforts made by the Colorado State Board of Nursing for promotion and standardization of nursing programs in the state. What are the various functions and responsibilities of the Colorado State Board of Nursing? The Colorado State Board of Nursing is responsible for all the nursing and medical service related issues in the state. The board members are appointed for four years tenure under the State governor. These members are held responsible for all the activities and board decisions made in yearly board meetings. The Board maintains the record of all the nursing programs and nurse aides working in the state. It oversees the enforcement of the nurse practice act and social security act in the state. The state board of nursing regulates various laws and policies in the state. Providing technical assistance and support to the board staff and registered board members.